When Antonia’s sister dies, she finds herself longing to be back in the States. An Italian wartime bride from the ’40s, she knows how precious love can be. 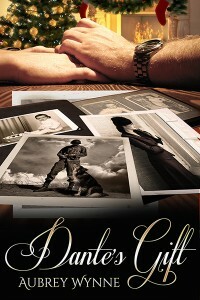 Can her own story of an American soldier and a very special collie once again bring two hearts together at Christmas? My stepfather is a British WWII veteran and his memory is better than mine. He helped me find the Italian city for the setting and gave me so many authentic details. He really gave the story the life. In way of thanks, I put Eric in the story. Look for him. I came up with the contemporary couple over a bottle of Italian wine. Antonia, the Italian war bride, was modeled after a friend of mine. Ken just came to me as the typical American GI. I always loved Lassie as a child so the pet ended up as a collie. They were also popular in Italy in the ’40s.